Routing (also called Assign) can be used to assign operators to be notified for incoming messages. This helps websites with a lot of chats to balance them between support operators. Some people call our Routing feature "Assign". We will refer to "Assign" as "Routing" in this article. The Routing feature is available in Crisp Unlimited. You need to make sure your website is subscribed to that plan so that you can use the Routing feature. Check the Crisp Pricing page if you need more information on our plans. Routing works on the conversation level. In the Crisp Inbox, a conversation can be unassigned or assigned. The routing status of a conversation affects how operators are notified of incoming messages in that conversation. The operators need to enter routing mode in their Crisp Inbox, so that they see only the conversations they are assigned for. They also will only get notified of new messages in the conversations they are assigned to. 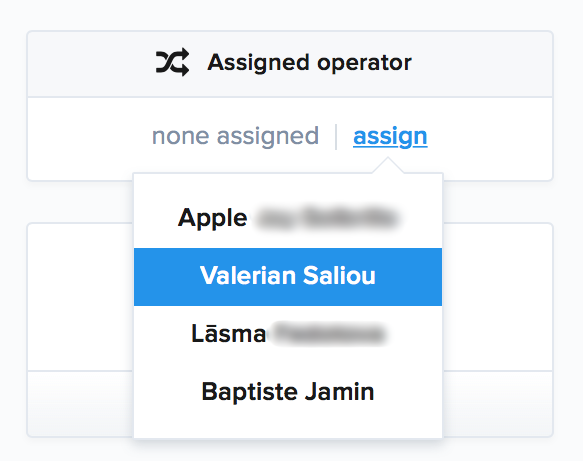 This allows your support to scale as your conversation volume grows, by performing a Round-Robin between your operators (see the automatic assign feature below). Operators can also leave the routing mode anytime, and see all conversations (even those for which another operator is assigned). Crisp will remember the routing mode settings so that it is recovered when the operator reloads or open the Crisp Dashboard. Also, mobile (push) notifications will be only sent to the assigned operator for routed conversations. Conversations with no assigned operator will get notifications sent to the whole team. How can an operator enter Routing mode? Routing mode can be entered by hovering the routing icon with your mouse, and selecting "Assigned to me", as shown in the image below. You can find this icon in your Crisp Inbox, near the conversation search field. The routing mode can be left anytime by toggling back to "All conversations". How to manually assign a conversation? By default, no automatic routing is performed (we&apos;ll get to it below). You can still manually assign an operator to a conversation. Simply go to the conversation, and in the user information right bar, click on "Assign" and pick the target operator. How to automatically assign a conversation? Then, follow the Routing rule creation form. Conditions are not required, ie. you can create a routing rule that matches in all case. 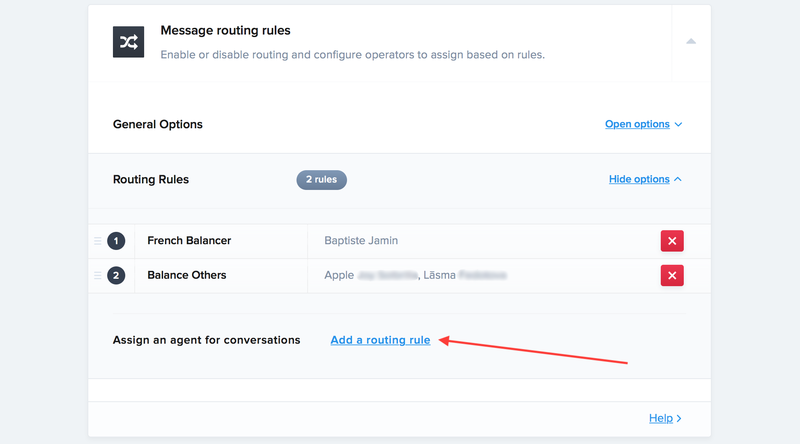 Make sure the "Auto-assign conversations according to configured rules" option is enabled in the General routing settings. It must be active for your rules to be used. Notice that you can order your rules. Each rule has a priority order, which means it is processed first. If you have multiple routing rules, the first routing rule to match in the pipeline stops it. It means that further rules don&apos;t get processed. Ensure you re-order your rules properly to create the pipeline you desire. How to configure general Routing settings? If you want to enable auto-assigning and use your configured rules, enable the "Auto-assign conversations according to configured rules" option. You can disable it to temporarily disable automatic assigning. If an operator was assigned a few days ago to a conversation, and no activity occurred in that conversation since, the conversation can automatically be re-assigned to another operator. The option to enable this is available in your General routing settings (see image below). Of course, if an operator was removed from the website team, the conversation will be assigned to another operator of the team once a new message is received.